What To Do with Limited WiFi? Embrace the Escape! Here at the South Rim of the Grand Canyon we have the pleasure of operating in a truly unique and special place - it's one of the seven natural wonders of the world after all, and for good reason! 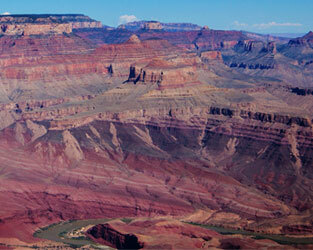 A visit to the Grand Canyon is anything but ordinary; it is a true escape in every sense of the word. However, escaping the ordinary sometimes comes with a price that some visitors may not be expecting: technology withdrawal. Although it might seem obvious to some, the Grand Canyon is in a very remote location, and visiting this amazing place means you're going to be getting far away from the cell towers and wireless hot spots that we're so used to having back home. If the thought of being "unplugged" gives you anxiety, you're not alone, but let us help you put your fears to rest, and show you a few ways that embracing the lack of technology can make your Grand Canyon adventure even better! What does "Limited Wifi" Mean? WiFi is available in a few places, and we have a slow connection and limited bandwidth, so it's not ideal for much more than checking email or some (very) light browsing. In other words, it's there if you need it, but don't expect to be able to download your favorite podcast, stream Netflix, or Skype with your friends back home. 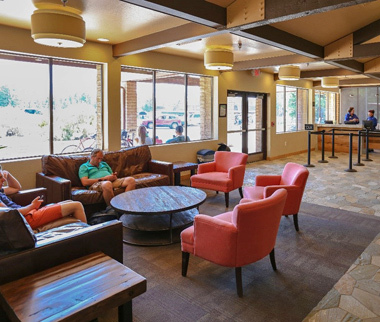 WiFi is available in the Yavapai Lodge lounge area. Is there WiFi in the guestrooms? What other locations don't have WiFi? 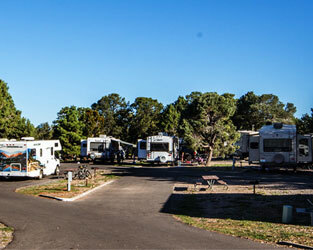 Trailer Village campsites, the Camper Services facility near Trailer Village, and most other public areas. So what can I do with no WiFi? The good news is, you're in luck! The Grand Canyon was MADE to be experienced "unplugged." Here are just a few of the many things you can do while disconnected. Take pictures. Even if your phone doesn't get reception, your camera still works! The Grand Canyon features some of the most striking scenery in the world, so by all means, feel free to snap away and take pictures to show your loved ones when you're back home. However, we challenge you to put your camera down from time to time too. Studies have shown that you're more likely to remember details of a place you visit if you DON'T take a ton of pictures. Experience the wildlife. The Grand Canyon is home to a wide variety of wildlife, including bats, elk, bighorn sheep, mule deer, squirrels, ringtails, and over 370 species of birds! Spend less time "tweeting" and listen to Mother Nature's "tweets". Hike a trail. Some of the most epic hiking in the world can be found at Grand Canyon, and no matter your skill level there is a trail suitable for everyone. Trails range from short easy walks on level ground to multi-day treks down into the canyon itself. Ride a bike. 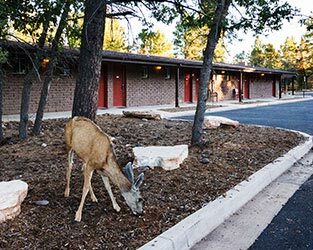 Bright Angel Bicycles offers convenient rentals near the Grand Canyon Visitor Center, and there are miles of paved bike paths you can explore along the South Rim. Take in a Ranger Program. What better way to learn about the Grand Canyon than from the experts themselves? 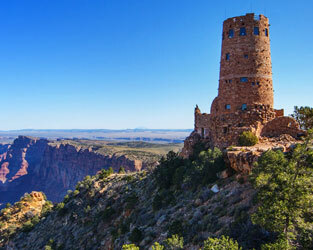 There are many available free NPS ranger programs offered daily on the South Rim. 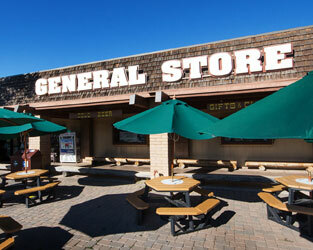 Pick up a schedule of events at a Visitor Center. Get out there and explore! These are just a few of the many available activities at the Grand Canyon. With so much wonder to experience, why would you want to spend time staring at your phone anyway?